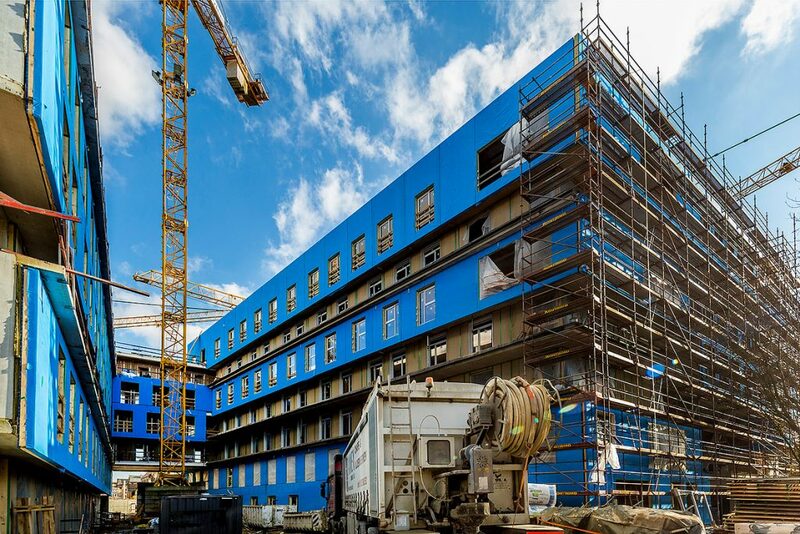 Machiels Building Solutions (MBS) will produce the facade filling walls for a 7-floor residential building in Ghent, Belgium. 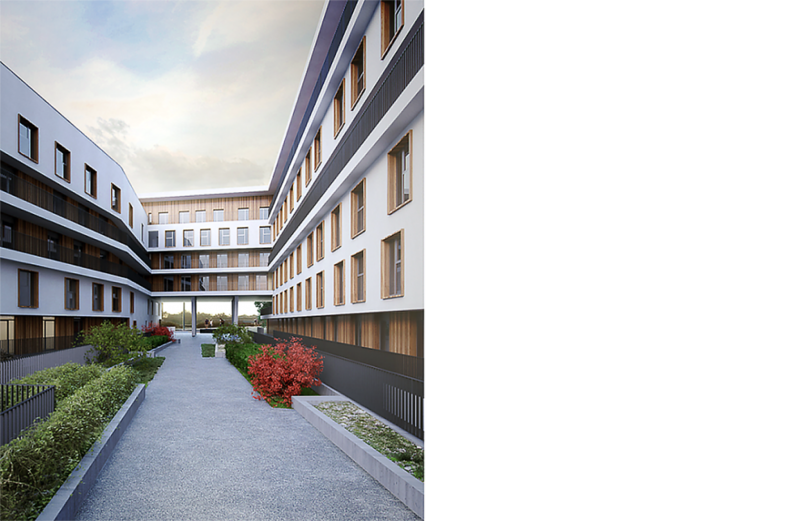 The building has 500 student rooms and is situated on a multifunctional site of Redemptorists. MBS has used Vertex BD in the large project in order to prevent errors in production. The 7-floor residential building in Ghent consists of 500 student rooms including various types of common areas. The facade of the building has a total surface of 7800m². MBS will provide two types of facade elements for the building. Vertical wooden battens were used on the recessed walls in the facades and the overhanging walls are finished on site with white stucco to create a nice contrast on the facades. 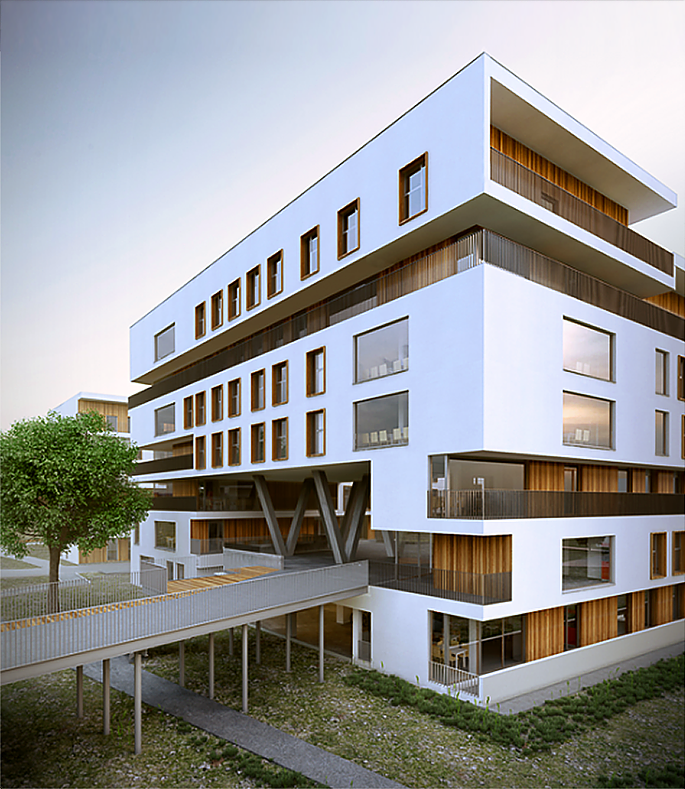 The demands on acoustics and fire-resistance properties are high for this project. As MBS has carried out several official tests on its facade elements in official laboratories, the company was well placed to provide innovative and certified solutions. The walls are limited in thickness but they still meet all the requirements imposed. 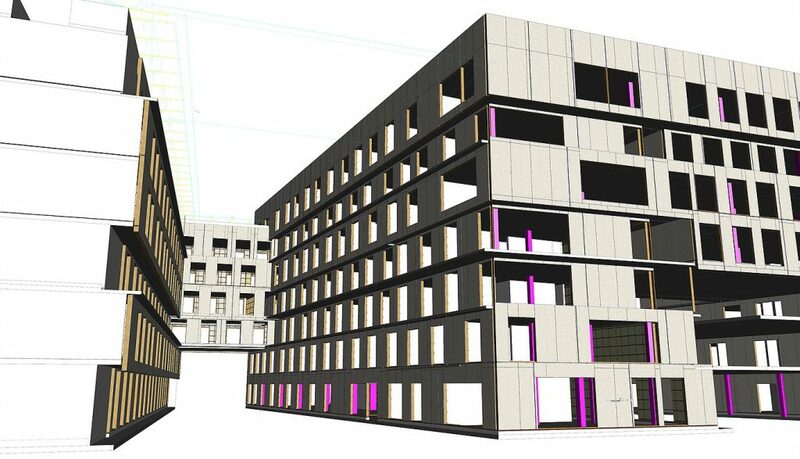 It was the intention to design the whole building as a BIM model, but the supplied IFC model was not sufficiently detailed. MBS has drawn the concrete structure itself using the 2D concrete plans. In some places, steel beams are foreseen in the concrete floors to give additional stability to the building. MBS has also drawn these steel elements in their 3D model. With all the major components designed in the model, MBS has already solved all possible problems and conflicts in the design phase and prevented delays at the building site. Vertex BD design software is excellent in showing possible problems in a 3D environment. By using a BIM environment, each partner can see every node in 3D and track potential problems. At MBS, Vertex BD is also fully linked to their ERP software.This way the production department knows beforehand, how much of each material is going to be used in production. Also the production line is completely controlled by Vertex BD. MBS made 680 prefabricated facade elements and 90 prefabricated roof panels for the building. To attach all the elements to the concrete structure, about 3000 anchors and around 1300 meters locating plates were used. All elements were transported just in time to the site by means of 36 trucks. On average, 17 walls per day were mounted over a period of 4 months. From contract signature to final commissioning, the project took less than 7 months. For large projects such as this, MBS runs production tests beforehand. The company tested 6 elements for this project. After producing the walls, an analysis was made and some details were optimized in order to produce the rest of the project as efficiently as possible. 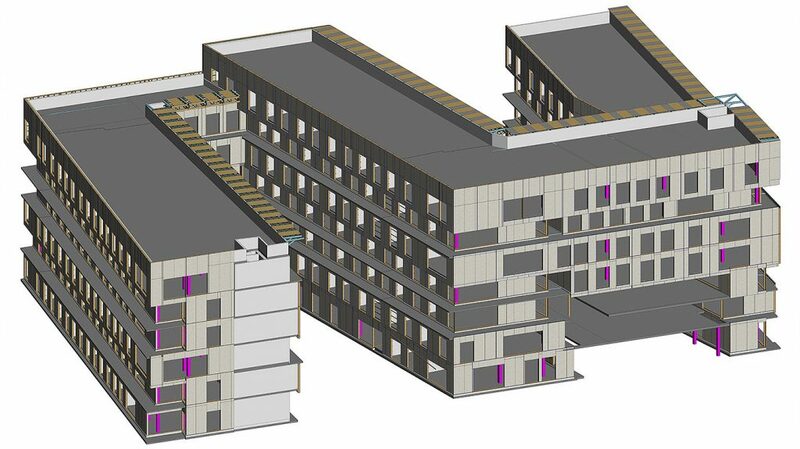 By using Vertex BD, MBS can draw any project in 1:1 in a 3D environment. They can also communicate with BIM to the other partners and order correct amounts of materials. With Vertex BD, the error rate in production is minimized. 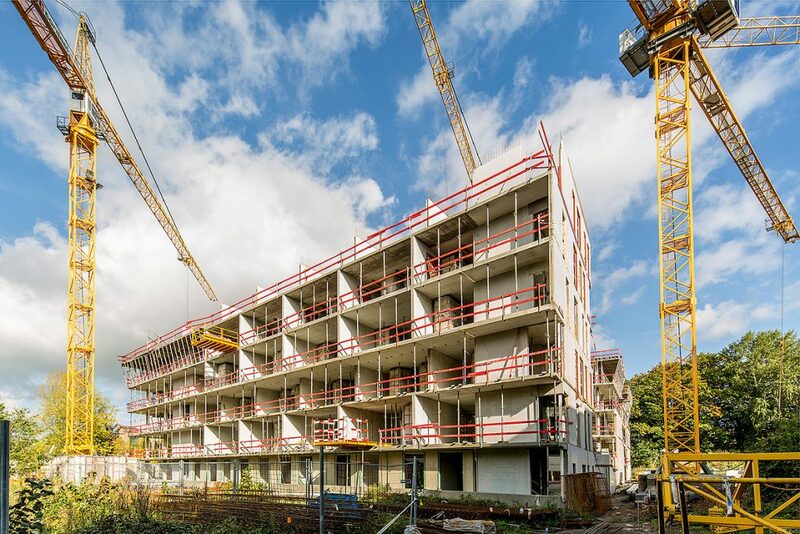 According to MBS, Vertex BD is an excellent program to make very accurate prefabricated wooden elements: you know that everything will fit on the building site even before you start producing.